A government spokesman said shutting down the checkpoints near El Paso is a temporary measure. 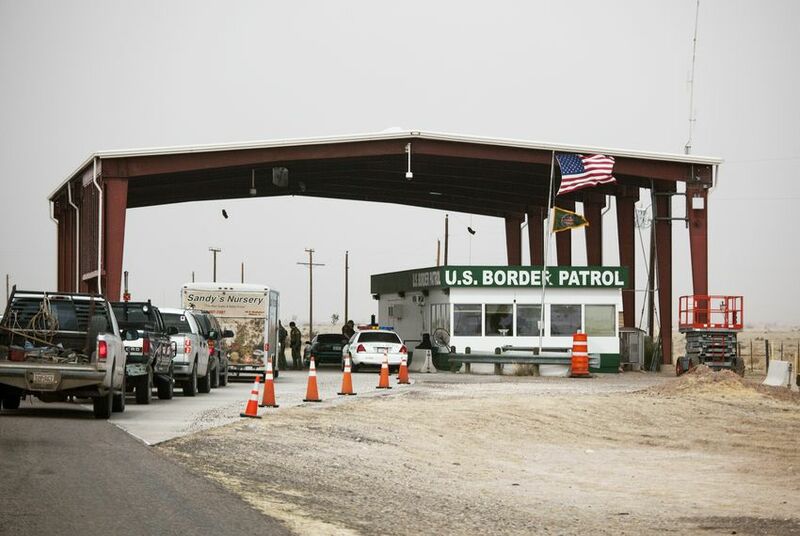 It’s unclear when the highway checkpoints in the El Paso sector of the U.S. Border Patrol will reopen after the agency closed them over the weekend and reassigned agents to help deal with an influx of undocumented immigrants. The closure was first reported by Texas Monthly over the weekend. An agency spokesperson said Monday that the move is temporary. The El Paso sector covers more than 260 miles of the international boundary and encompasses El Paso and Hudspeth counties, as well as all of New Mexico. The spokesperson didn’t say how many agents have been reassigned or whether the sector has taken similar measures in the past. The international borders in West Texas and New Mexico have seen a surge of unauthorized migration of mostly Central American families and unaccompanied minors seeking asylum after they are apprehended. In a statement released March 19, a sector spokesman said agents were apprehending on average 570 people per day, with about 90 percent of them coming from Central America. That trend is part of an overall increase along the entire U.S.-Mexico border. From Oct. 1, when the federal government’s current fiscal year began, through February, about 136,150 family units were apprehended on the southwest border — an increase of about 340 percent from the same period in fiscal year 2018, when about 31,100 families were apprehended, according to CBP statistics. The biggest spike occurred in the El Paso sector. During that time period, about 36,300 family units were apprehended — a 1,689 percent increase from the same period last year, when 2,030 were apprehended. It’s unclear whether other Border Patrol sectors in Texas are considering similar moves.